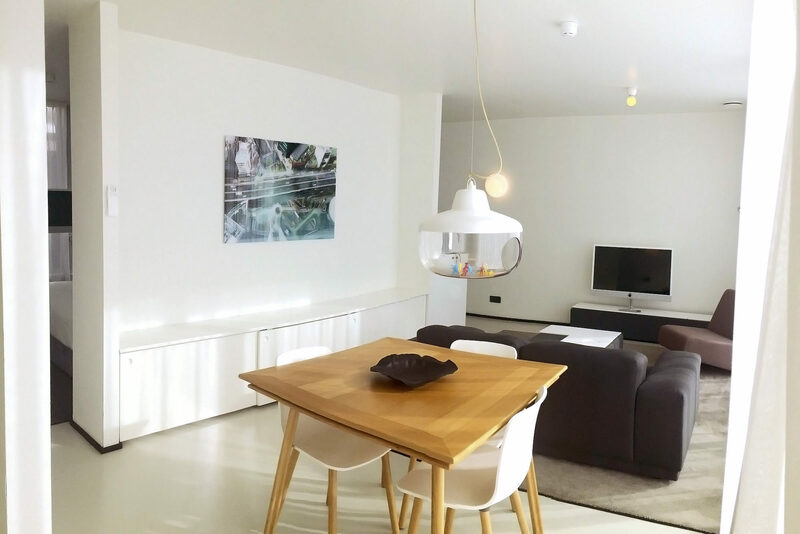 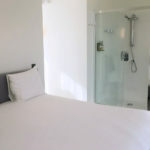 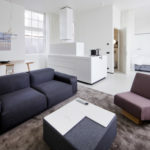 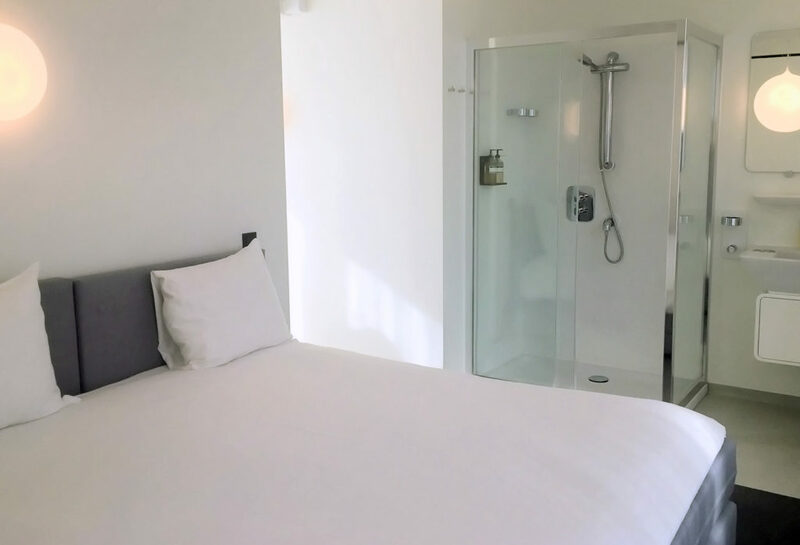 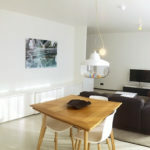 The Suite is a spacious studio situated on 1 floor and features a living area with open design kitchen with dining table, a sleeping area with double bed and in-room shower and a separate toilet. 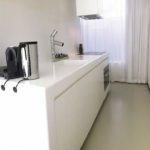 The suites are situated on an upper floor on the back side of the building and are reachable by stairs only. 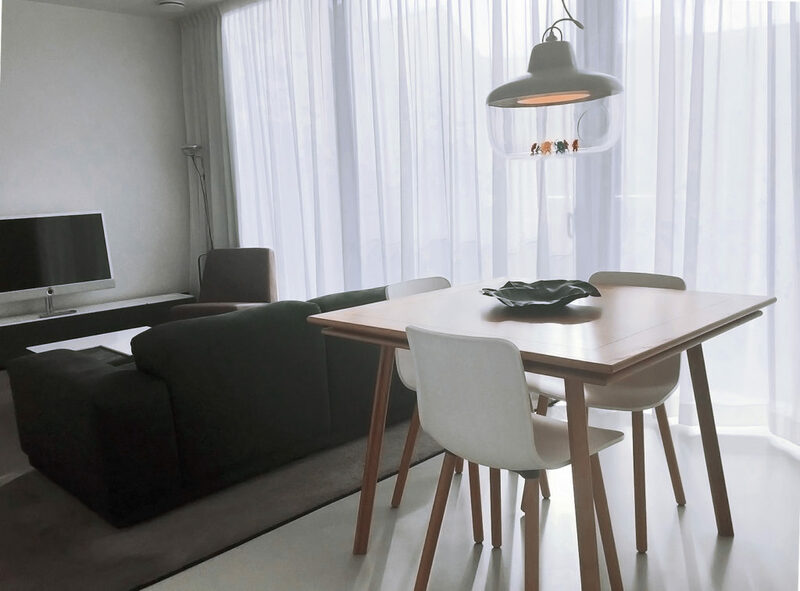 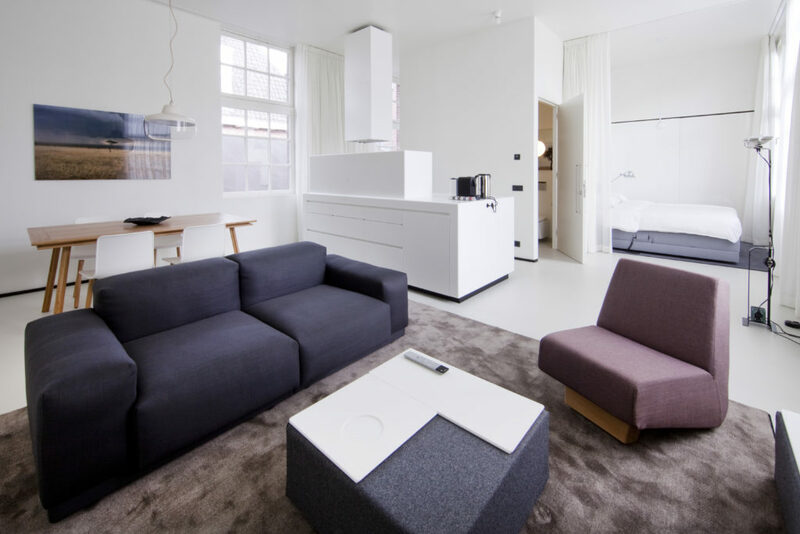 The interior design has closets built after a design by Wiel Arets, Vitra dining-room furniture and lighting by Flos. 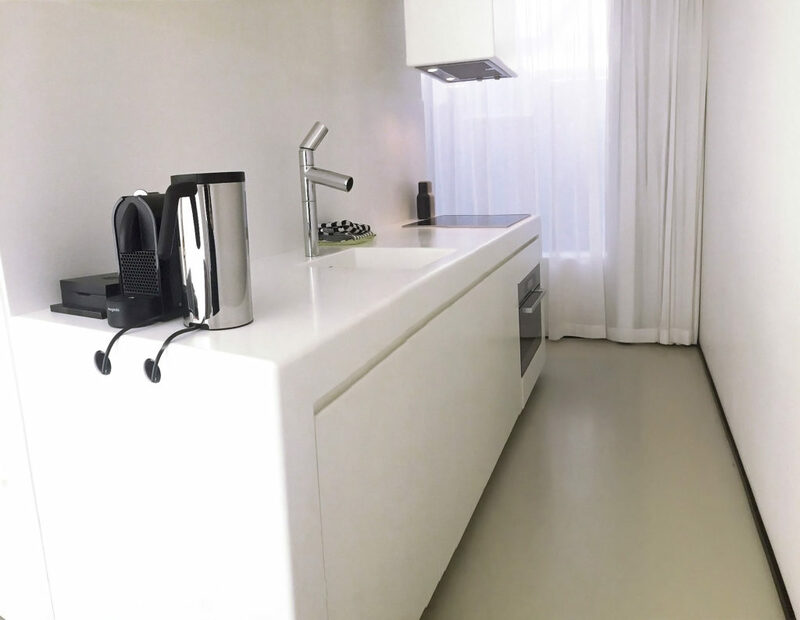 The epoxy floors are equipped with underfloor heating and cooling.